"He's going to be a real heart-breaker. 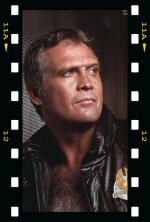 There's no dout about it"
Lee Majors has acting career that has spanned nearly 5 decades... and the man's still working! Lee is probably best known to TV audeinces as the star of the hugely popular 70's TV show 'The Six Million Dollar Man'. The show ran for 5 years and spawned a spin-off series - 'The Bionic Woman' - a multitude of merchandise, 3 TV movie sequels, and put 'Bionics' into the public consciousness and popular culture. But there is much more to Lee than just Steve Austin, his Bionic character. 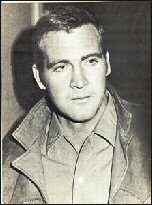 Lee has starred in more than 8 TV series on-and-off throughout his career, of which 'The Six Million Dollar Man' was the fourth. He grew up in Middlesboro Kentucky, not knowing he was adopted after the tragic death of his parents before he was 3 years old. 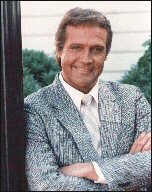 He has been married 4 times, most famously to Farrah Fawcett in the mid-seventies, when they were the Golden Couple of prime time TV, Lee as Steve Austin, Farrah as Jill Monroe, one of the stars of TV phenomoma that was 'Charlie's Angels'. Whilst Lee has had ups-and-downs, in both his career and his personal life, he has remained in the hearts of TV audiences across the globe whether he has been starring in a hit TV show or a small low budget movie. And each new role introduces a new generation to this popular and likable actor. In 2007 Lee filmed the live-action movie of the hit children's cartoon 'Ben10' and is enjoying a new lease of life playing, and being recognised, as Granda Pa Max.